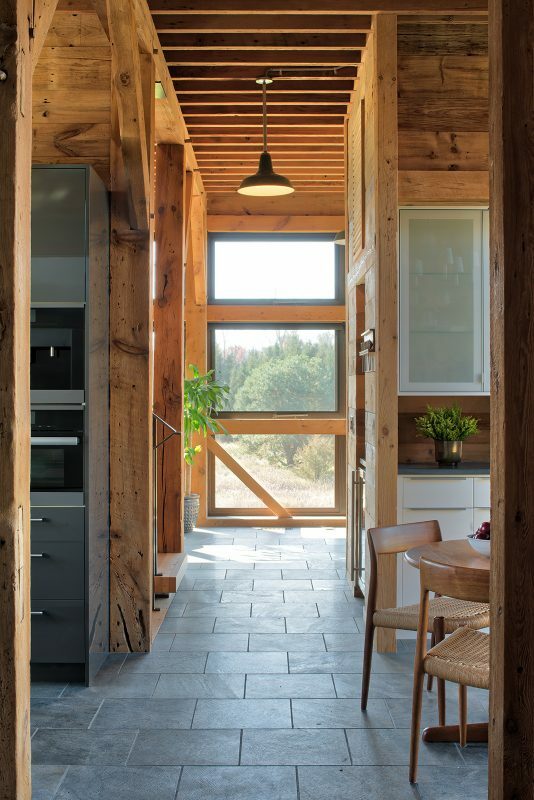 This timber frame granary sat beside a large gambrel barn for decades. 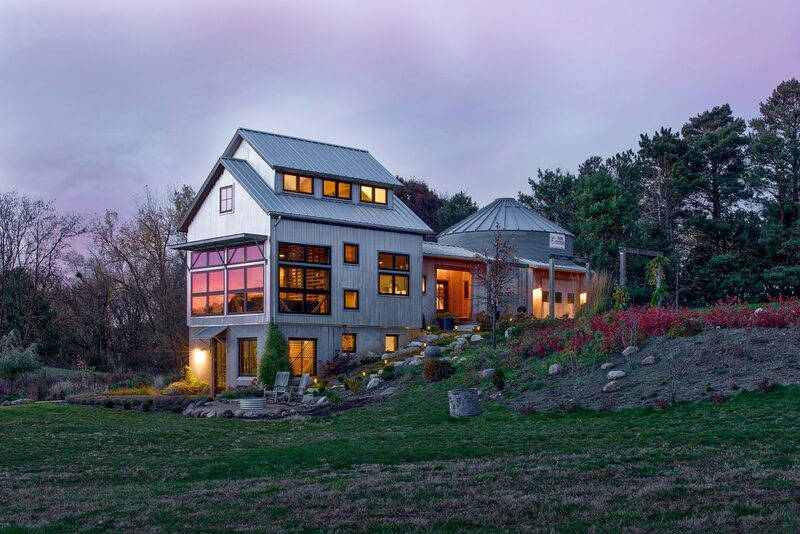 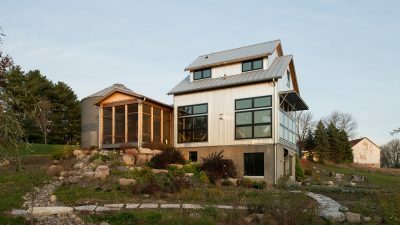 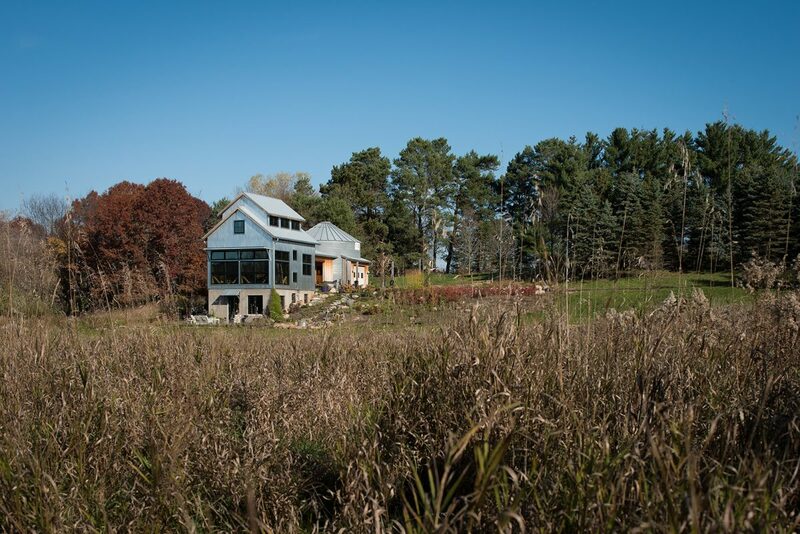 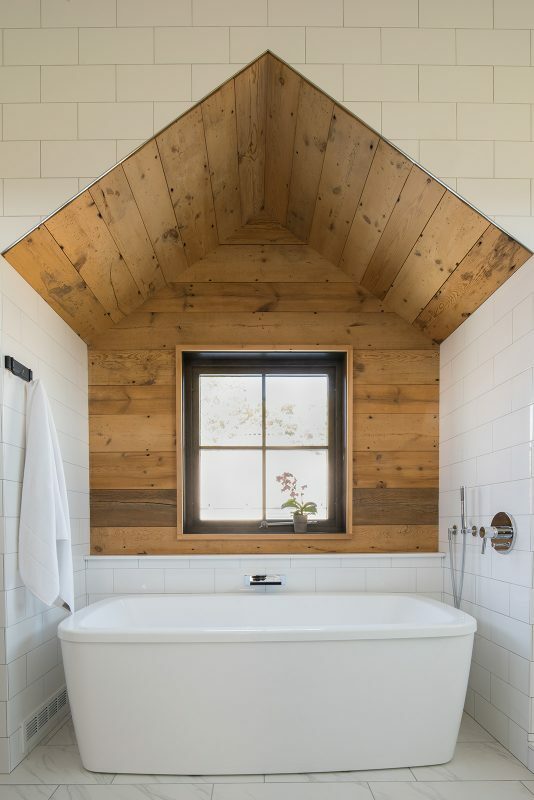 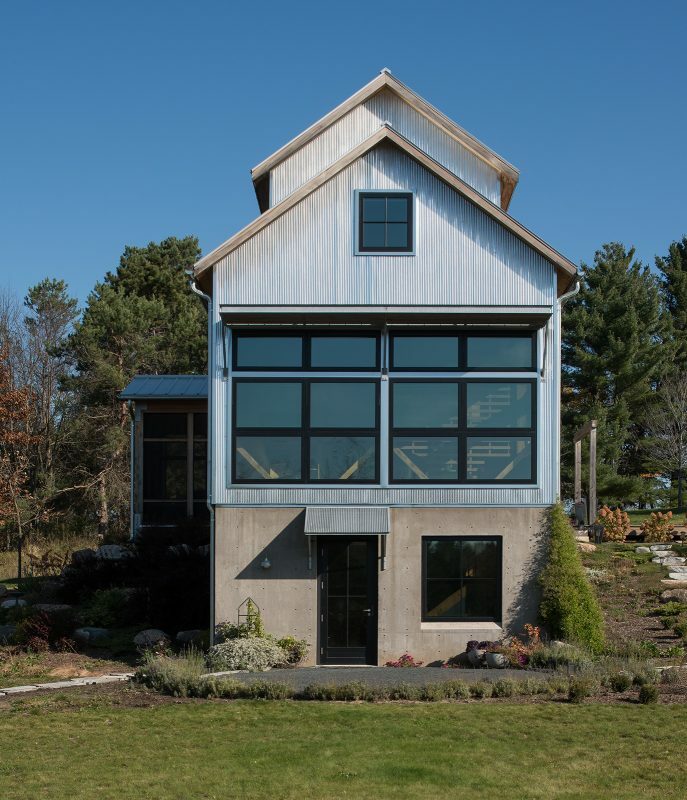 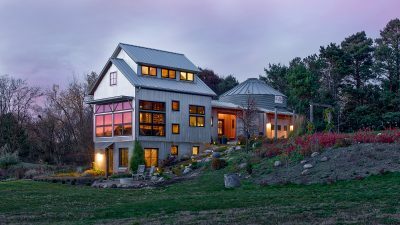 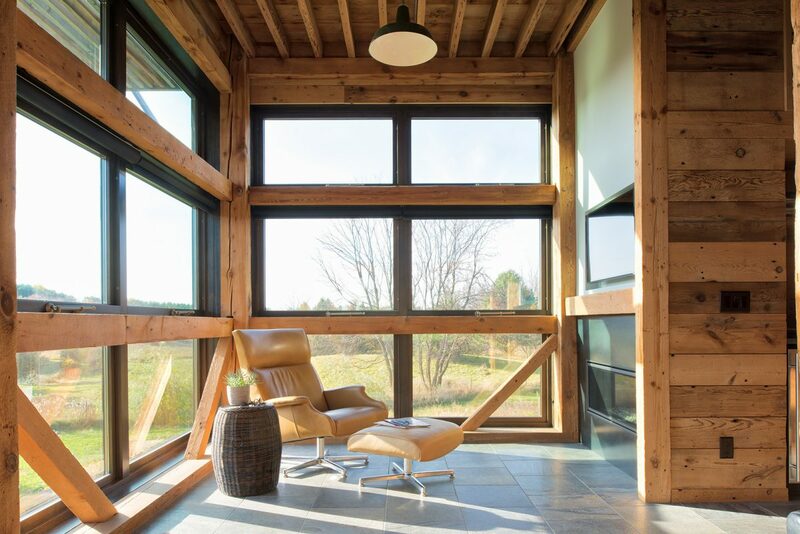 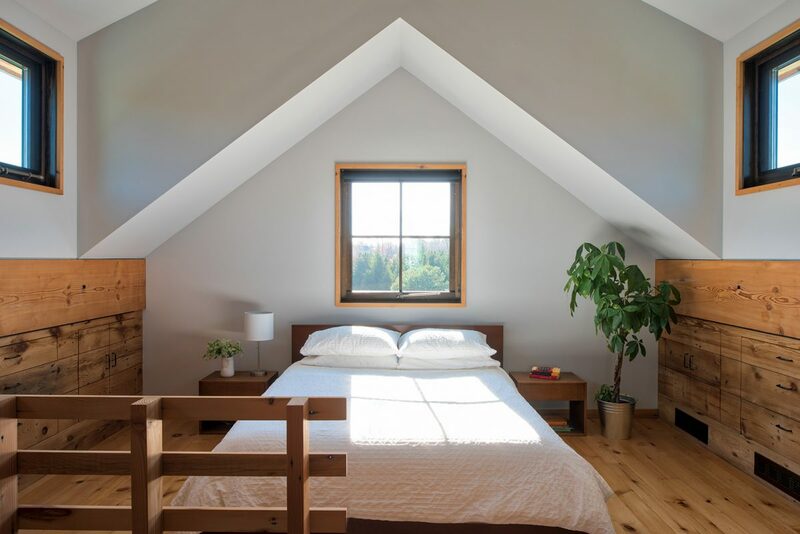 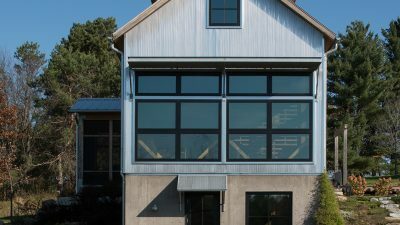 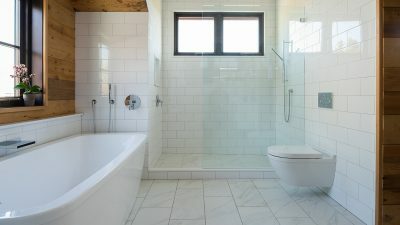 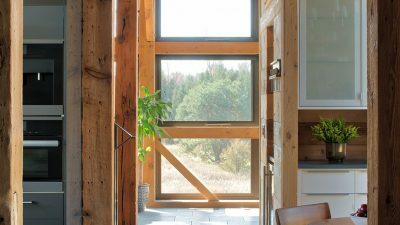 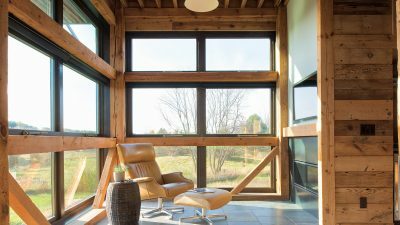 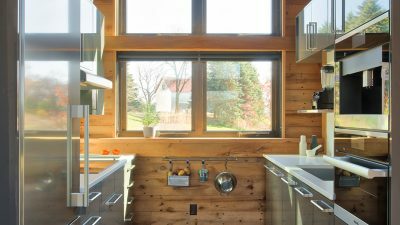 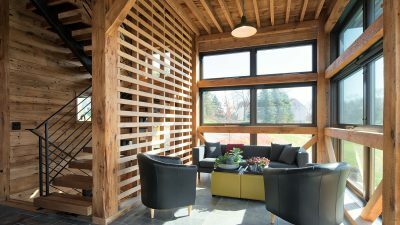 When the farmstead’s owners decided to evolve the site for continued use by multiple generations, they envisioned living within the crafted frame. 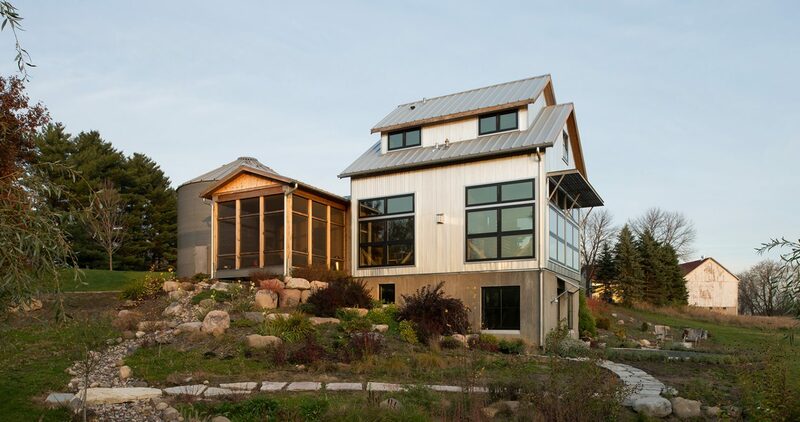 The large site was subdivided to allow for two residences. 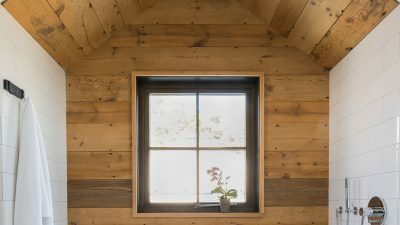 The granary was carefully disassembled and the pungent wood cladding, floor joists and timbers were sandblasted clean. 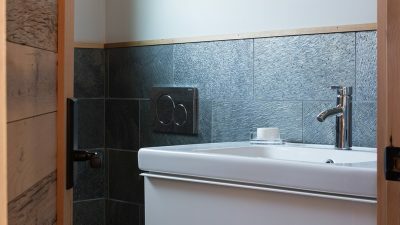 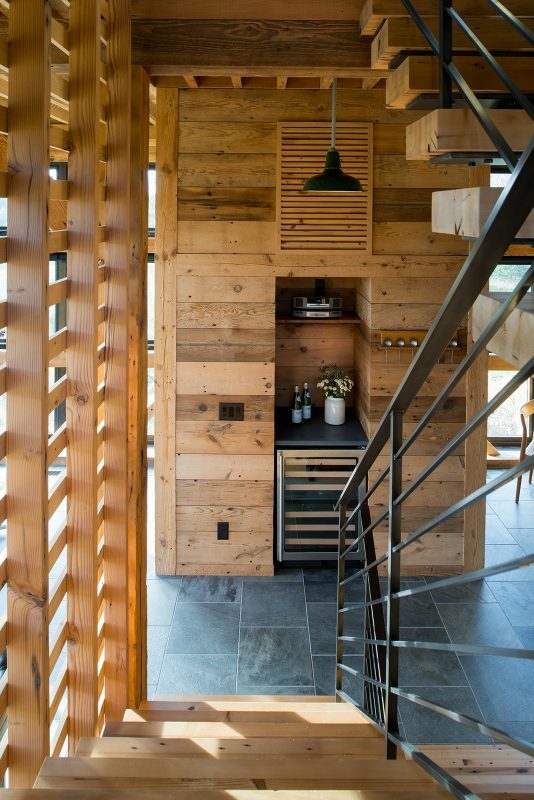 The three bays allowed for the primary spaces of kitchen, stair and living. 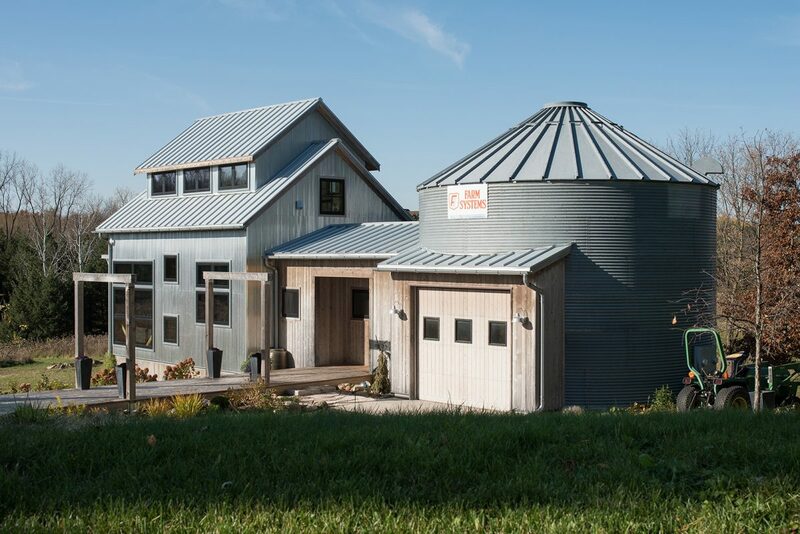 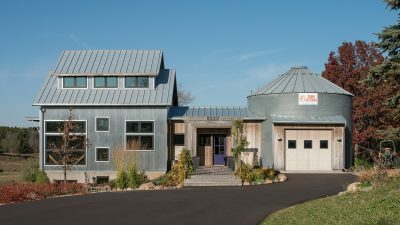 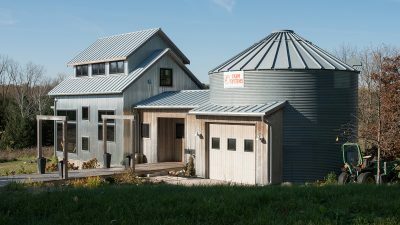 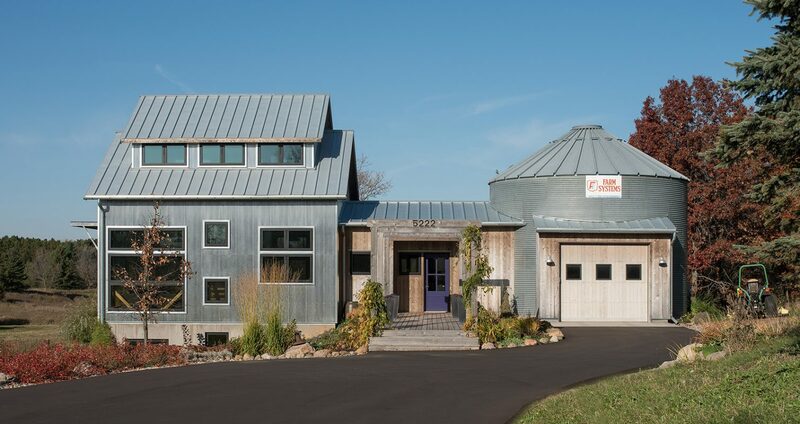 We looked to a later iteration of farm storage for a garage: a galvanized grain bin was disassembled and moved to this site. 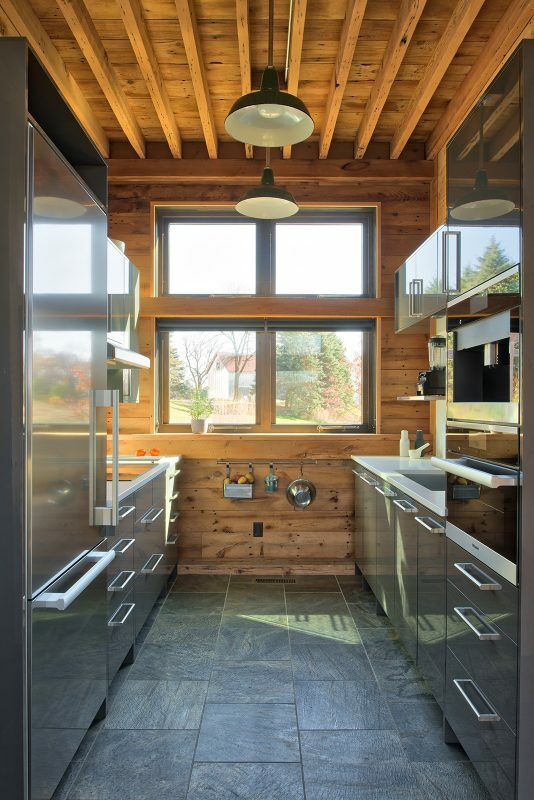 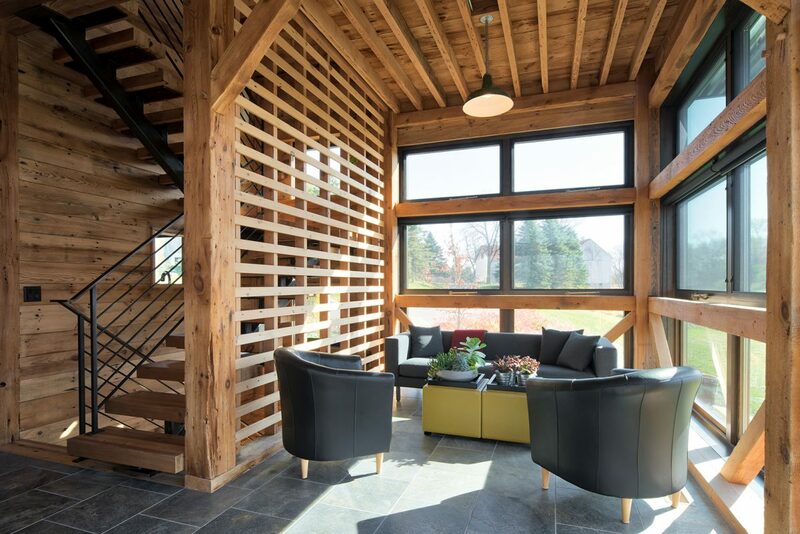 The two granaries from different eras sit on a new thermal mass foundation linked by a mudroom entry. 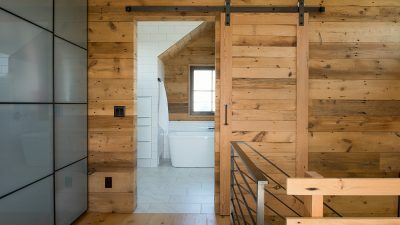 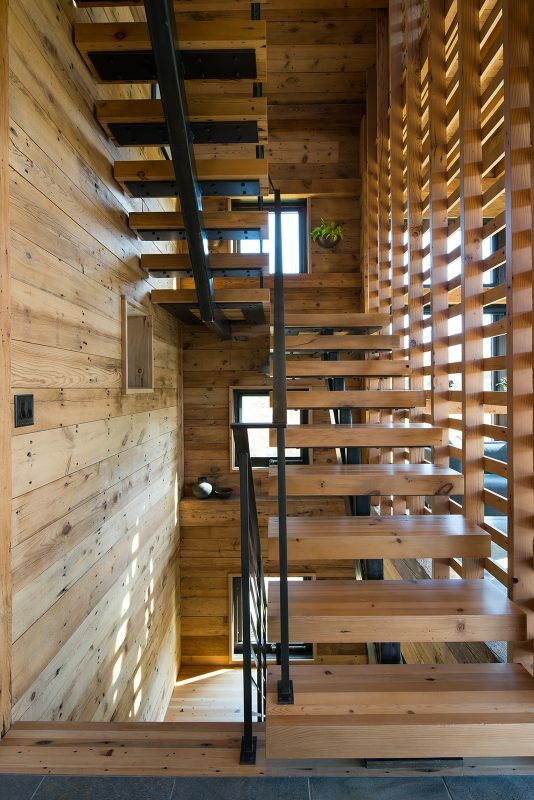 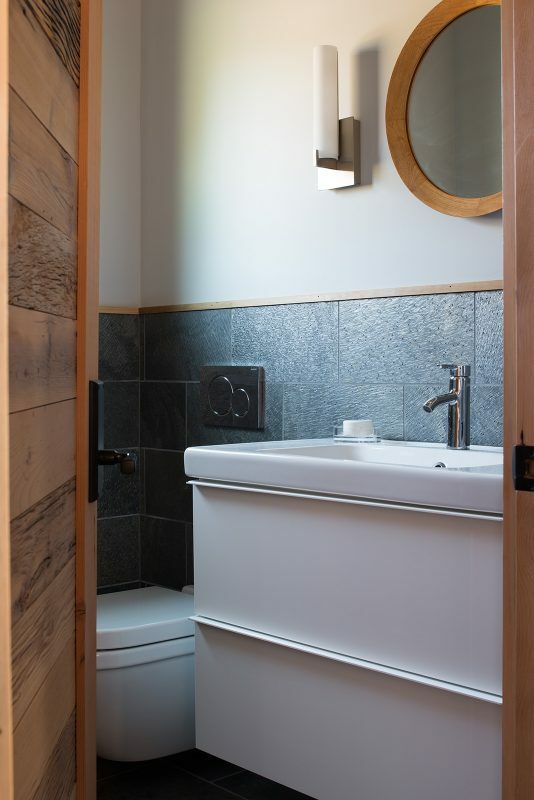 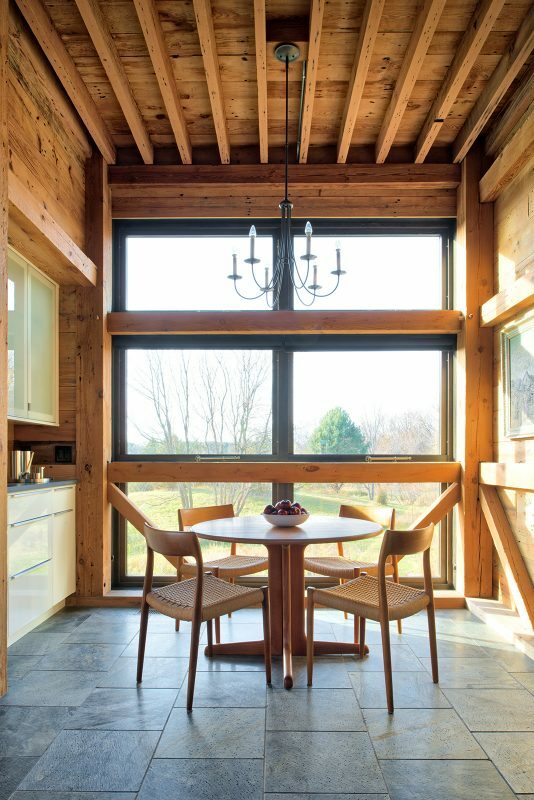 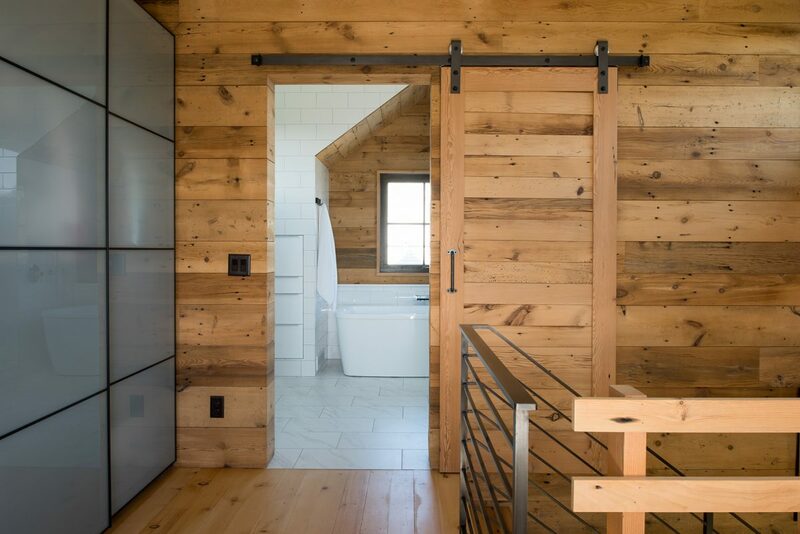 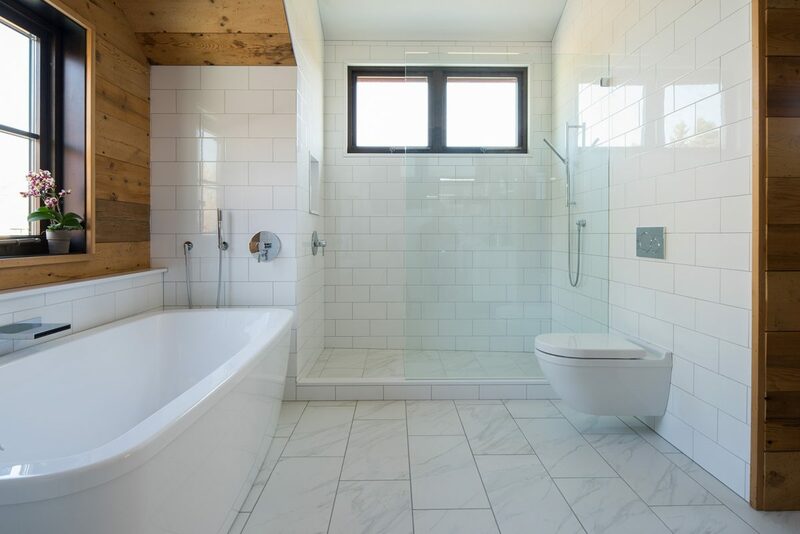 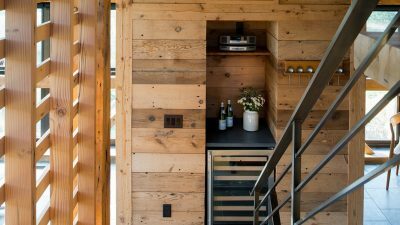 All of the interior wood – from frame to wall cladding to stair treads – is salvaged from the original building. 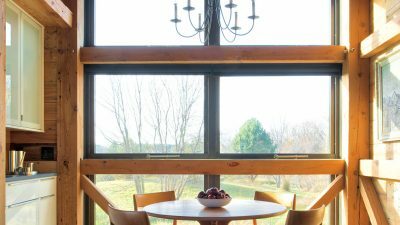 The old frame dictated window proportion and location. 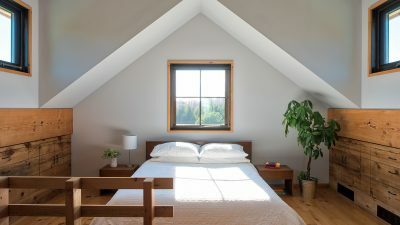 A new linear cupola provides head height and light for the upstairs bedroom suite. 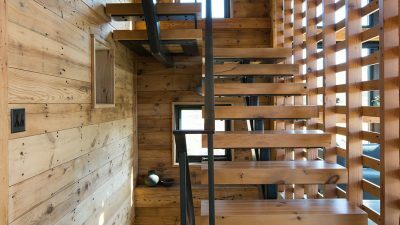 A local steel artist crafted the stair and hand rail. 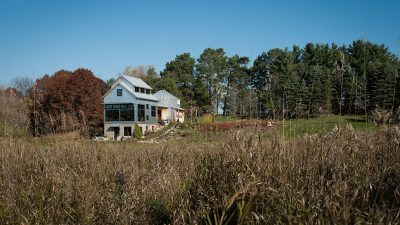 The granaries are transformed, the site reenergized, and the family is settled in for another generation.